July 25, 2017  The Canadian indie-pop singer-songwriter and guitarist set out to make her latest record alone, but says she ended up experiencing a whole lot of togetherness. April 12, 2017  Feist's first album in six years, Pleasure, comes out in just a couple weeks. Watch a video for its bluesy single. April 10, 2017  A long list of artists contributed work to the series, including Feist, Bon Iver, Sleater-Kinney, Nico Muhly, Björk, Laurie Anderson and many more. 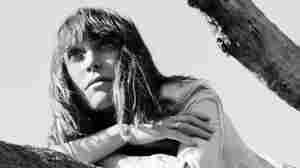 March 17, 2017  Feist's new song begins with an ambient hum and slowly growls into a grinding blues-rocker. 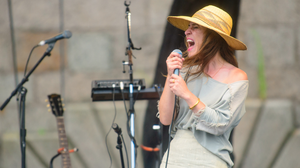 March 14, 2017  Feist has been known to take her time between albums, but it has been quite a long stretch since 2011's Metals. March 24, 2016  In an age when you're more likely to hear a cool new song in an ad before you hear it on the radio, a panel at SXSW addressed the question of how to match mayonnaise with banjos or sneakers with EDM. 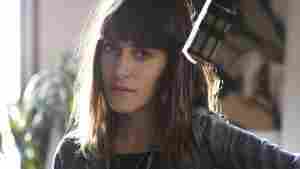 November 18, 2013  Leslie Feist has long attracted serious buzz: In the early 2000s, the Canadian singer-songwriter appeared to be on the verge of jumping from underground success to mainstream stardom. In 2007, she started to fulfill that promise. Hear an archived interview and studio performance. November 13, 2013  The duo responsible for co-creating the Canadian label Arts & Crafts hark back to humble beginnings in conversation with host David Dye in this installment of Sense of Place: Toronto. April 27, 2009  "Train Song" is exactly the sort of smart high-concept event that thrives on benefit CDs, complete with big names, a smartly chosen cover song and a simple arrangement. 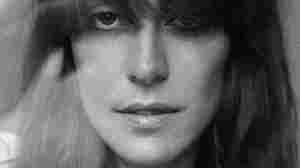 More to the point, it sounds terrific, with Feist's flair for dusky portent mixing perfectly with Ben Gibbard's moody, openhearted croon. 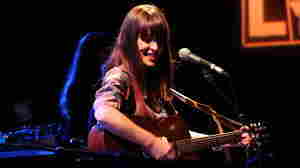 June 16, 2007  On The Reminder, Feist appears to be on her way to becoming a full-fledged star. 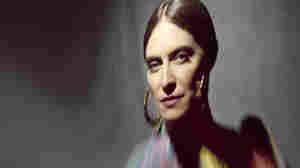 2005's Let It Die helped solidify her as a darling of the indie-rock scene, but her major label debut is an album that both the critics and the broader public seem to love. May 28, 2012  Hear live performances from The Little Willies, Feist, Amos Lee, Dawes, The Tedeschi Trucks Band, Rhett Miller, Indigo Girls and John Hiatt. 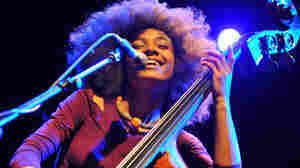 December 2, 2011  Hear the celebrated Canadian songwriter perform at World Cafe's 20th-anniversary concert weekend. 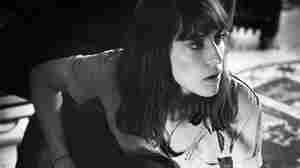 November 9, 2011  Hear Feist perform beautiful new material from Metals live on KCRW's Morning Becomes Eclectic. September 13, 2011  The All Songs gang spins favorites from a jam-packed season of great new music, including albums from Feist, Atlas Sound, Real Estate, Jens Lekman and more.